If your kitchen towel hanging on the oven door spends a lot of time sliding onto the floor, consider making an oven door towel. 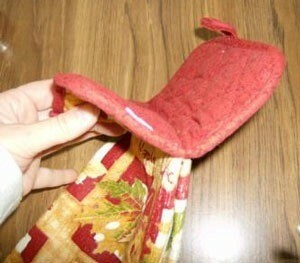 This is a guide about making an oven door towel. 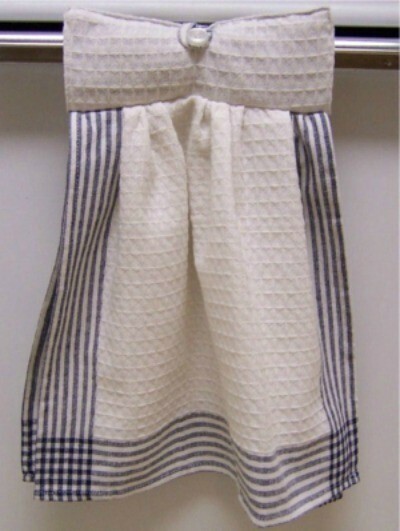 This was made from two kitchen towels purchased from the Dollar Tree Store. The total cost was $2.16. Materials: 2 towels, thread, button. New approach to a dish towel you hang over your oven door handle. Fold dish towel and find center. Take folded pot holder and find center. Sew a straight line or hand stitch through both items. 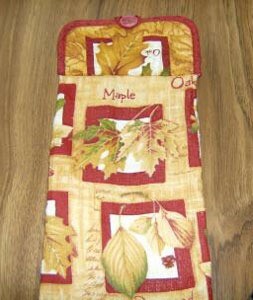 Attach button on pot holder and use existing loop from pot holder to clasp of button. Makes a cute gift for relatives and friends.